PASS is a service for children (0-11 years) and families living with autism or communication difficulties, who want to secure further support for their child’s development or those looking for strategies to help them manage the difficulties their child and family faces at home. 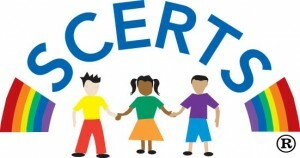 PASS is available to children from early preschool up to the age of 11 years with autism or communication difficulties. For further information about the SCERTS model click here. You can view Emily Rubin giving a brief introduction to SCERTS here. Read SCERTS Collaborator Barry Prizant’s, Is ABA The Only Way from Autism Spectrum Quarterly. PASS is delivered by an expert multi-disciplinary team who are highly qualified in their fields with many years of experience working with very young children with autism or communication difficulties, and their families. We can provide a package of therapy and support customised to meet the needs of your child and your family. Whatever challenges you face, PASS can help you to understand why your child behaves in certain ways and give you the tools and structure to support them at home.